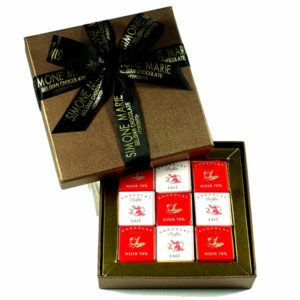 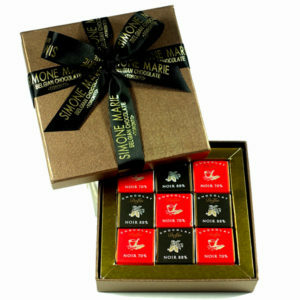 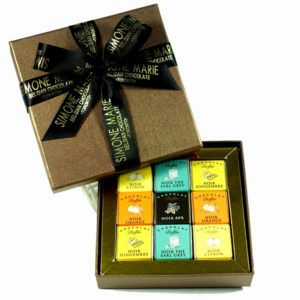 In Canada, SIMONE MARIE offers the DOLFIN Belgian chocolate squares in custom gift boxes. 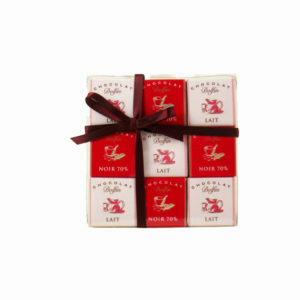 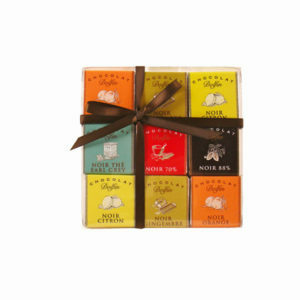 DOLFIN Chocolate Squares make Great Gourmet Gifts. 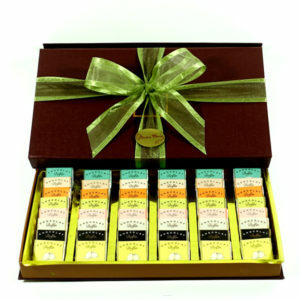 In Belgium, at DOLFIN, a small chocolate manufacturer, master chocolate makers create the most unexpected combinations: powerful and full flavoured Belgian dark chocolate or soft and tender milk chocolate are blended with fruits, spices, herbs and flowers, in sometimes surprising but always harmonious combinations. 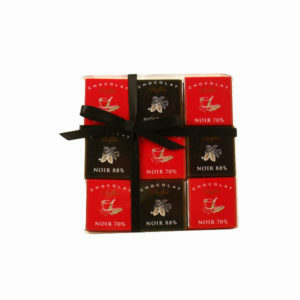 The DOLFIN chocolate squares offer all the nutritional and therapeutic qualities of chocolate; they are simple and natural and although produced without any preservative, can be kept fresh for many months.